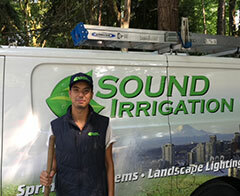 Sound Irrigation has been serving the Puget Sound since 2001. We strive to provide the best possible customer experience along with quality, consistency and expertise at an affordable price. Growing up in Northern Idaho and Eastern Washington, my family owned an irrigation company, so from a very young age I have been closely involved in the irrigation industry. After marrying my high school sweetheart, we moved to Western Washington. Since the one craft that I knew was irrigation and landscape lighting, Sound Irrigation was born and has been going strong ever since. 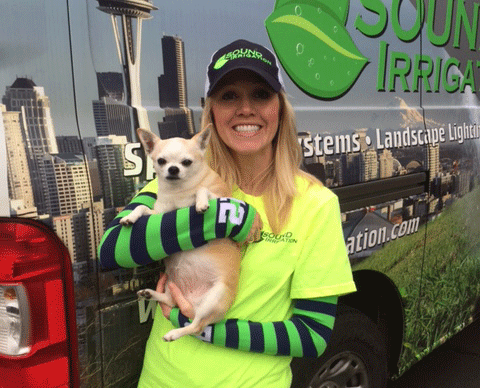 As the owner of Sound Irrigation I have always had a very hands on approach. I have purposefully kept this company smaller as it affords me the opportunity to do much of the work myself. From designing to final clean-up I am always physically involved in order to assure that the craftsmanship and quality are always to the best standards. Besides, with all my years of experience behind the shovel I would like to think that I am an expert ditch digger. 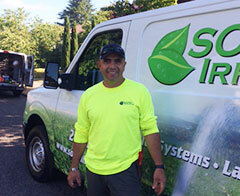 I want to thank all of my customers for their loyal support of Sound Irrigation. I look forward to many more years of building solid lasting relationships. I want every customer to be satisfied and look forward to continued success in this relentless pursuit. While we have amazing seasonal employees we also have a few we could not live without. 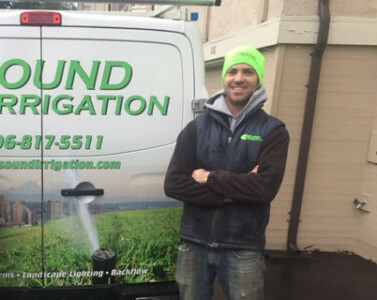 Justin has been with Sound Irrigation since 2004. Growing up in Idaho and Montana, Justin learned to appreciate nature and wanted a career which allowed him to work outdoors. Because of Justin’s attention to detail, he is extremely thorough on the job. If drip lines need to be laid and hidden, he is your guy! 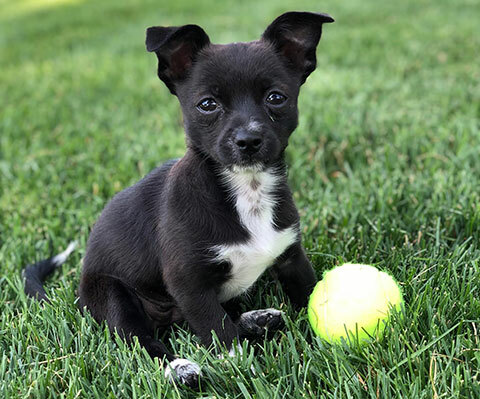 To our, and our client’s satisfaction, he cleans up the job site so well you would never know someone had been “playing in dirt” all day long. In Justin’s spare time he loves to spend time with his wife and 2 year old daughter and FISH!! He normally has a fishing pole within reach at all times. With 18 years in the irrigation and landscaping world we were so happy when Jorge finally agreed to join our service department. He is our “una arma secreta increíble y inteligente” (smart secret weapon) His technical knowledge in both the residential and commercial sprinkler world, work ethic and pleasant demeanor has been such a bonus to our team. His free time is spent with his beautiful wife and three adorable kids. Sam comes to us from the world of concrete. And he thought he had a hard job before! 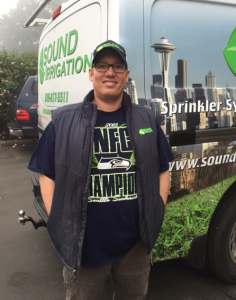 We are so happy to have him join our team at Sound Irrigation. Not only is Sam a hard worker he is very smart and has been catching on quickly to things. He is very kind and takes his job seriously. We are SOOOO happy he came on board with us. He’s a keeper! In his free time, he enjoys playing music and drinking Coors beer with his beautiful wife Karen. Alyson works in the office answering calls, scheduling and doing billing. She tries to always pick up each call and answer any questions you may have in a helpful way. In her free time she spends her time walking her dog and at the beach.